There are so many website builders on the market, that separating the good ones from the not quite so good ones can be a challenge. Finding the best of the bunch is an even bigger challenge. Affordability and ease of use are important. Even more important is finding a tool or platform that promotes customizability, flexibility, and guarantees you can build a site that will deliver an excellent user experience. – You need a tool or platform that emphasizes simple and flexible content management. Doing so will allow your projects to proceed faster and more smoothly. – You want to be able to build websites that are user friendly, and can outcompete the competition. For both to happen, they need to be responsive, and address the needs of mobile device users. – Look for a platform that is rich in widgets. The more there are, the more functionality you can build into your sites. – Don’t forget to insist on the ability to easily integrate your sites with social media. That’s where much of the action is today. Take a platform that already makes building and managing a website a snap, and redesign it from the ground up, and you really have something. That’s the case with SnapPages. With its latest release, 3.0, it’s easier than ever to create and manage modern, responsive websites. Professionally-created, customizable design templates help you get your projects off to a quick start. Once you’re up and running, the SnapPages team will attend to your web hosting and server needs. The focus is on what users want and need most, as opposed to loading this platform down with a multiplicity of features; resulting in by most accounts, the best website-building editor on the market. The drag and drop editor is optimized for touchscreen use, so you can make quick changes while on the go with your laptop or tablet. 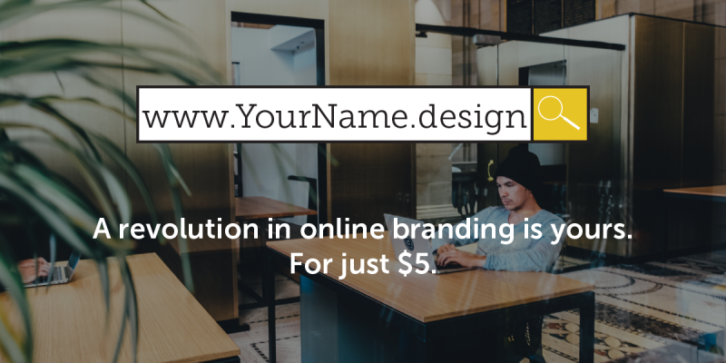 If you’re still using a .com domain name and your old Gmail address, you’re missing an opportunity to ensure that your personal branding is as unique, memorable and professional as your work. Adopting .design gives you a creative edge, attracting attention from potential customers and employers. First impressions have never been so powerful! The .design community has quickly grown to over 60k, and it is made up of students and professionals coming from dozens of different fields of design, not to mention household names like Airbnb, Facebook, T Mobile and Medium! What’s the deal and where do I get it? Take your online branding to the next level today with this special deal for Web Apppers readers, available at web.design! Singer is an open-source standard for writing scripts that move data. It describes how data extraction scripts—called “Taps” —and data loading scripts—called “Targets”— should communicate, allowing them to be used in any combination to move data from any source to any destination. Send data between databases, web APIs, files, queues, and just about anything else you can think of. 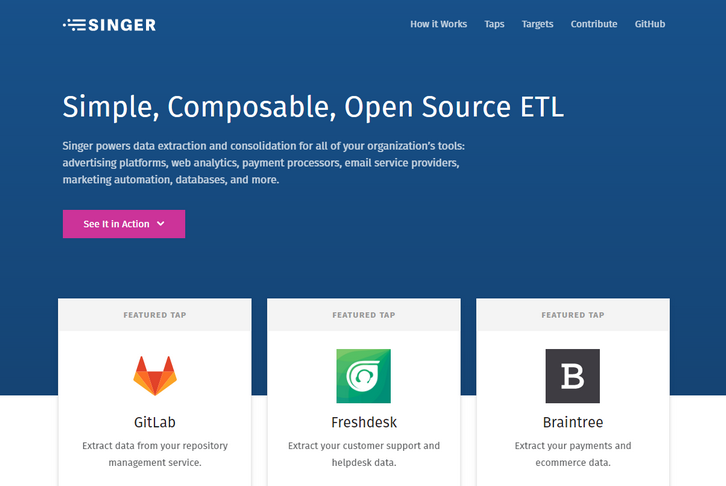 Singer powers data extraction and consolidation for all of your organization’s tools: advertising platforms, web analytics, payment processors, email service providers, marketing automation, databases, and more. Every image, in every webpage you work on, should be flawless in terms of its quality, and its ability to fit with the concept or idea behind the page. An image should also fit in contextually with the accompanying text. These considerations, and how cleverly you apply them, can make or break user perception of your website. They help us to better understand something. They show us how something is done. When you are tasked with building a more indie, artsy, or outside-the-envelope project, the images you use can take on an entirely new meaning. They could represent a departure from the norm, be used to establish a context, or help to tell a story. Images are always an important part of your design work. To make them suitable for the task at hand, they often require a certain degree of processing before you feel comfortable using them. 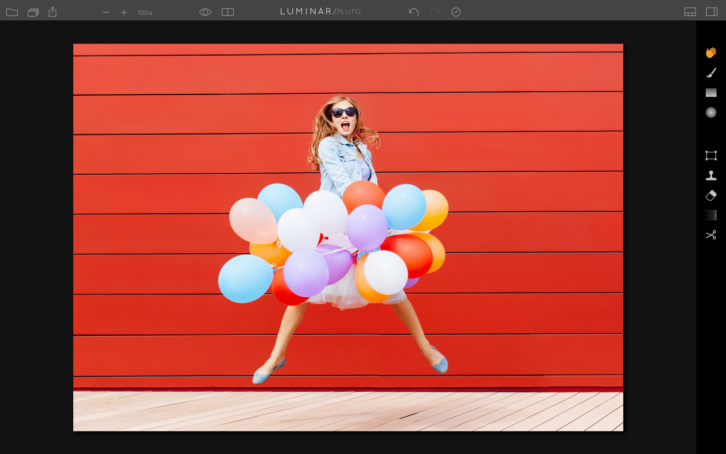 With that in mind, we’ve selected 3 photo effects in Luminar, (the only Mac photo editor that adapts to your style and skill level) that we are sure you’ll fall in love with. Presets offer the simplest way to give a web image a certain “wow” effect. They can, for example, be used to make a photo appear classic or edgy, or give it an ethereal quality. WordPress has many pluses, but it’s not necessarily the most glamorous platform to work with. Still customize it with themes and plugins to fit a designer’s needs has made it the most popular CMS. Plugins are great to have access to when you need to embed certain functions into your websites. There are a great many to choose from, and you can even have one developed that is customized to fit a particular need. The main problem with plugins is the sheer number that are available. When you look for one to fill a special need, you may come across several that seem to fill the bill. Finding the best of the lot can be a challenge. To make life a little easier, we’ve chosen some of the best WordPress plugins out there that you can use to add key functionality to your websites. wpDataTables provides a host of data management functionalities. For instance, tables you create with it can be made editable. Editing in wpDataTables is no more difficult than editing in Excel, and the tables can be very large. wpDataTables can work quickly when confronted with large amounts of data. All the data management functions associated with a given table are handled by the MySQL server. The tables you create will be natively responsive, so you needn’t be concerned as to how they will display on various device types. Furthermore, the tables you create can be used as sources for creating charts. Just as the tables themselves are editable, the charts can be changed in real time to reflect up-to-date data and results. A truly beneficial feature of wpDataTables is the ability to highlight cells, rows, and columns of data, in relationship to their content. By visiting the website, you can view the full range of this plugin’s features and capabilities. Content Timeline is a handy WordPress plugin to have if you want to display content in a sliding timeline. Content Timeline is responsive, and since it’s fully customizable, you can drag and drop to sort, add, or delete items of content as you like. Should you need to edit an item in a timeline, you can edit it in its own window. 12 customizable Card Layouts are included to add a cool look to your timelines, or you can create a card from scratch. Looking for the right WordPress theme can be a chore if this is your first attempt, or if you’re not exactly sure what you should be looking for. The economics are such, that premium themes are usually no more expensive than those having somewhat less to offer. It’s worth noting that today’s typical user isn’t simply looking for a website. He or she is looking for an experience. That is what the following WordPress themes can help you achieve with your design efforts. Why we have listed them as the “Best for 2017”? – They feature aesthetically pleasing designs. That means they have staying power. – They produce SEO friendly results. Your websites should get their fair share, or more, of traffic. – They are easy to customize. You have the flexibility you want, and you’ll save heaps of time. – They offer top-quality support; levels of support you have every right to expect. If you’re looking for a premium WP theme that’s loaded with features, easy to use, and capable of producing any website type or style, Be Theme fills the bill on all counts. Be is popular, and it’s the biggest WP theme on the market. It’s packed with the features and capabilities you need to give your clients precisely what they want, and their customers the experiences they seek. Highlights include the fast and efficient Muffin Builder 3 and Visual Composer page builders, plus an options panel, shortcode generator, and 200+ shortcodes that enable you to design to the minutest level without any need for coding. 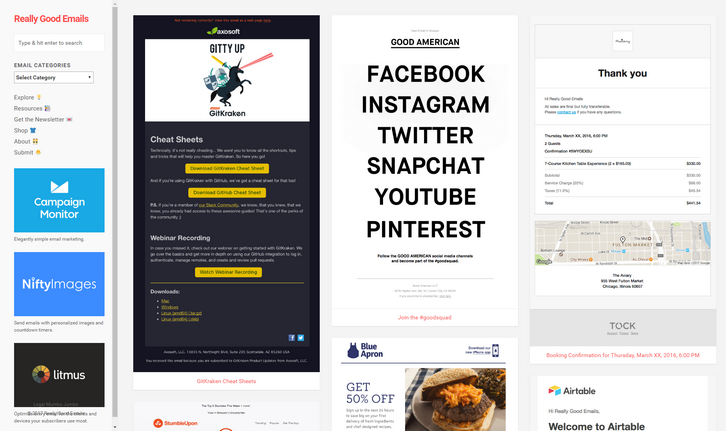 You’ll also have header, grid, and portfolio options galore to work with. 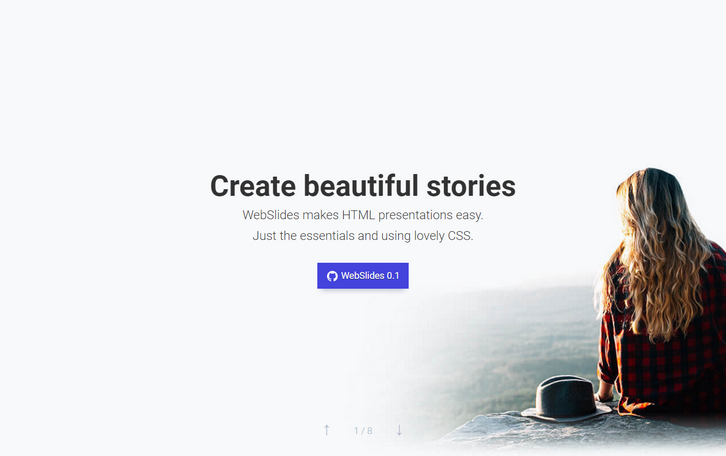 WebSlides makes HTML presentations easy. Just the essentials and using lovely CSS. Each parent <section> in the #webslides element is an individual slide. Code is clean and scalable. It uses intuitive markup with popular naming conventions. There’s no need to overuse classes or nesting. Making an HTML presentation has never been so rewarding. You can Create your own presentation instantly. 120+ premium slides ready to use. 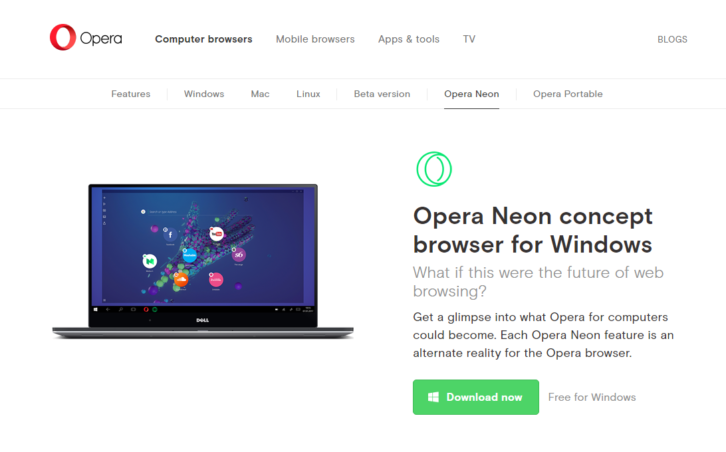 Opera Neon Concept Browser for Windows. What if this were the future of web browsing? Get a glimpse into what Opera for computers could become. Each Opera Neon feature is an alternate reality for the Opera browser. The Opera browser features you love have been rebooted, with a fun, fresh take on Speed Dial, visual tabs and the omnibox, which float in to kickstart your browsing session. Opera Neon wipes away your desktop clutter by bringing your computer’s wallpaper into the browser. Opera Neon’s newly developed physics engine is set to breathe life back into the internet. Tabs and other objects respond to you like real objects; they have weight and move in a natural way when dragged, pushed, or even popped. This desktop browser is more than just a window to the internet – with Opera Neon, you are in control of everything you see. 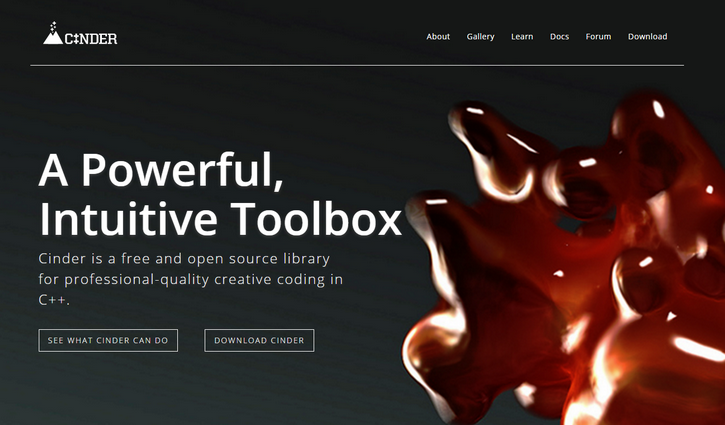 Cinder is a C++ library for programming with aesthetic intent – the sort of development often called creative coding. This includes domains like graphics, audio, video, and computational geometry. Cinder is cross-platform, with official support for OS X, Windows, iOS, and WinRT. Cinder is production-proven, powerful enough to be the primary tool for professionals, but still suitable for learning and experimentation. Cinder is released under the 2-Clause BSD License.